Rob Hardy: "A Curious Friendship", The Australia Skeptic, Autumn 2002. William Harwood, "The Gullibility of Conan Doyle", The Skeptical Inquirer:March/April 2002. 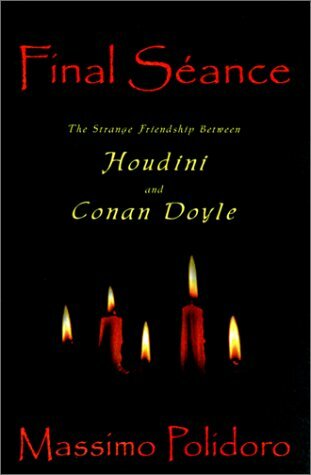 Kimberly Louagie: "The Strange Friendship Between Houdini and Conan Doyle", The Mystifier, Spring 2002. David Pitt: "King Arthur", The Mystery Review, Winter 2002. Mike Jay: "The Case of the Last Seance", Fortean Times, November 2001. Lucy Dallas: "Final Séance", The Times Literary Supplement, September 28, 2001. Britland, David, "Review of Final Séance", MagicWeek, July 2001. A. Canales: "Final Séance", The Critical Review, 2001. Doug Wyatt: "Bunk Mates", Savannah Morning News, June 17, 2001. Michael Pakenham: "Legerdemain vs. Spiritualism: Houdini and Conan Doyle", Baltimore Sun, March 25 2001. Cline, Austin, "Spiritualism & Skepticism", About.com. Amazon.com Reviews of Final Séance.